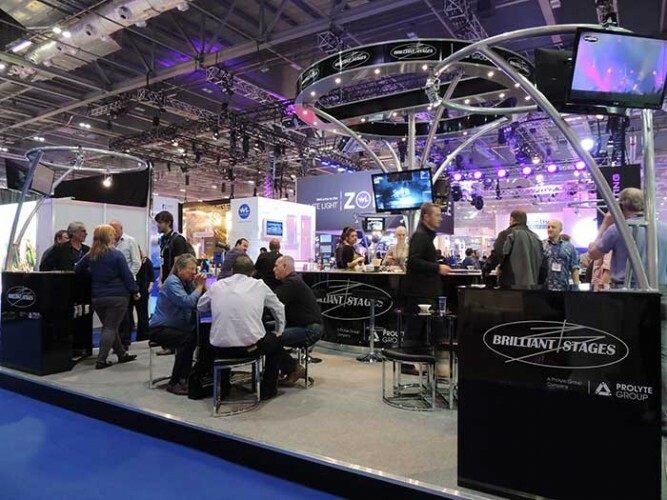 Prolyte Group and subsidiary Brilliant Stages enjoyed a busy PLASA Show at its new home, ExCeL London, earlier this month. 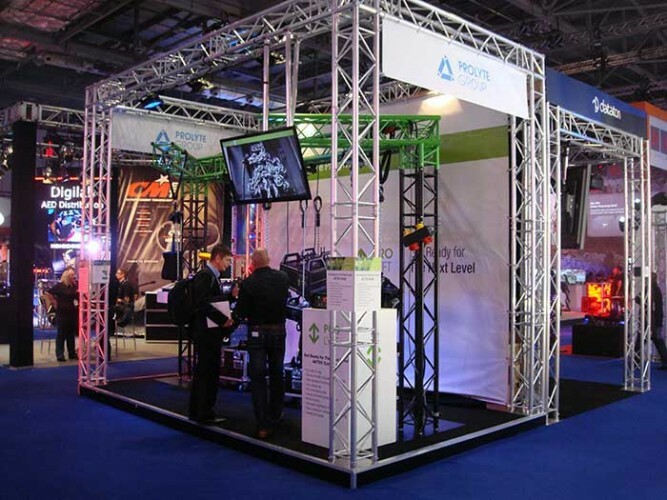 Both companies reported positive feedback following their decision to do something different for PLASA London 2013. On display for the first time in the UK was the ProLyft AETOS range. Visitors were given the opportunity to see a selection of the new hoists in action on a dedicated demo booth – stand Q65. UK sales director Keith Williams commented: "The reaction to ProLyft AETOS has been amazing. We realise the products have to be seen to be fully appreciated so we had several working units on display, which gave us an opportunity to demonstrate their potential. The hoists were very well received, reinforcing our plans for the future. We had quite a number of enquiries from new contacts and met with many of our existing global distributors. Despite some initial reservations about the new location, overall it was a great PLASA show." Brilliant Stages reported similar success after opting to exhibit independently for the first time in a number of years. The stand, D60 – which was designed and fabricated by the Brilliant Stages team, saw a constant stream of visitors. Guests were invited to take advantage of the hospitality on offer, meanwhile video show reels acted as a reminder of some of the high profile projects Brilliant has been involved in over recent years, including the acclaimed Robbie Williams and Muse tours. General manager Tony Bowern said: "The show provided a perfect opportunity for us to catch up with a mix of our existing clients and industry friends. We also met some new contacts, had several interesting enquiries and generally experienced high visitor quality. Also, it was good that many of the students attending the show this year appear to already be involved in training within the industry. This was undoubtedly a worthwhile PLASA show for us."